FOR IMMEDIATE RELEASE CONTACTS: LISTED BELOW MAINE HOME PRICES UP 5.12 PERCENT IN MAY AUGUSTA (June 21, 2017)—Lower-than-normal inventory of existing single-family homes in Maine led to an 8.85 percent decline in May 2017 sales. However, according to Maine Listings, the median sales price (MSP) for the 1,524 homes sold last month rose 5.12 percent to $200,000. The MSP indicates that half of the homes were sold for more and half sold for less. “2016 was a record year for real estate in Maine,” states Greg Gosselin, 2017 President of the Maine Association of REALTORS®, “and while these current numbers show a decline from last year’s highs, the 2017 May and Rolling Quarter Statistics are the second highest numbers during this time period, since we began keeping records in 2003. “For sale inventory is 20 percent lower than this time last year, and multiple offer situations are becoming more prevalent for properties that are move-in ready and properly priced.” Nationally, single-family home sales increased 2.7 percent. The National Association of Realtors reported a nationwide MSP of $254,600—a 6.0 percent jump from one year ago. The Northeastern US experienced a sales increase of 2.6 percent and the regional MSP rose 4.7 percent to $281,300. AUGUSTA (May 24, 2017)—Low inventory of single-family existing homes contributed to a 13.93 percent decrease in sales figures across Maine comparing April 2017 to April 2016. REALTORS® reported 1,106 homes changed hands last month, and the median sales price (MSP) for those homes rose 2.78 percent to $185,000. The MSP indicates that half of the homes were sold for more and half sold for less. "Across Maine, for-sale inventory is tight. Single family homes actively listed for sale in April 2017 were down 25 percent statewide, compared to April 2016," states Greg Gosselin, 2017 President of the Maine Association of REALTORS®. "Low inventory is impacting potential sellers as well. Some are hesitant to list their homes without a suitable ‘next step’ to move into, but now is a great time to work with your REALTOR® to navigate the real estate market, whether you are on the selling end or buying end of the transaction." The National Association of Realtors (NAR) today reported a national sales increase of 1.6 percent in the past year for single-family existing homes. A national MSP of $246,100 in April reflects a rise of 6.1 percent. Regionally, sales in the northeast dipped 2.7 percent while the regional MSP increased 1.6 percent to $267,700. Gosselin added, "The basics continue; families need someplace to live, interest rates continue to be historically low, and owning your own home and real estate is one of the best ways to build your net worth over the long term." AUGUSTA (March 22, 2017)—Maine’s real estate continues to increase in value, despite a decline in sales last month. Maine Listings reported an impressive 12.50 percent jump in home prices, bringing the statewide median sales price (MSP) to $180,000 during the month of February. The MSP indicates that half of the homes were sold for more and half sold for less. Weather certainly affected buyers last month, and sales eased 12.91 percent. "The February 2017 data was impacted by a 10-day period of record-breaking snow and a comparison to a Leap Year in 2016, adding an extra day of sales back then," explains Greg Gosselin, Broker Owner of Gosselin Realty Group and President of the Maine Association of REALTORS. "However, the rolling quarter statistics indicate continuing strong real estate sales and value trends throughout Maine. "Homes are entering the spring for-sale inventory on a daily basis. REALTORS are reporting that pre-qualified, credit-worthy buyers are actively searching now to take advantage of the long-term affordability and tax benefits that home ownership provides." AUGUSTA (February 22, 2017)— Sales of single-family existing homes in Maine remain stable and healthy. The Maine Association of Realtors reported a 7.87 percent increase in sales during the month of January 2017 (compared to January 2016). Realtors across the state sold 959 homes, with a median sales price (MSP) of $190,000. The MSP indicates that half of the homes were sold for more and half sold for less. National sales of single-family homes rose 3.7 percent in the past year. According to the National Association of Realtors, the national MSP for those homes reached $230,400 in January—an increase of 7.3 percent. Regionally, sales in the Northeast were up 6.7 percent and the regional MSP increased 2.5 percent to $253,800. "In many markets across Maine, buyers need more housing inventory," says 2017 Maine Association of Realtors President Greg Gosselin, Owner Broker of Gosselin Realty Group in York. "Statewide, the inventory of ‘for-sale homes’ is 24 percent lower than this time a year ago. "Mortgage interest rates remain historically low, households have confidence in their job security, and buyers are searching now in anticipation of moving this spring. The time is right to place your home on the market." As you close the door on summer, are visions of your summer vacation flashing through your mind? If you spent some time this summer at the beach, in the mountains or near friends or family in an area you love, you might be thinking of purchasing a second home to enjoy that location more often. Now is a great time to consider such a move because many homeowners often put their vacation homes on the market after the season is over. But first, be sure to consider a few important issues. Consult with your financial pro. You might believe you can afford an additional mortgage payment, utilities, taxes and other expenses, but your financial situation might say otherwise. Talk with your financial advisor to discuss the best way to pay for the vacation home – and its upkeep. Determine home use. Will it be a vacation home for personal use, a rental property (with some personal use), an investment (no personal use), an eventual retirement home or another use? Determine usage to understand tax implications and rental income that could offset expenses. Consider desirability. Is the home easily reachable by your family? If being used as a rental is the area a continual – or just seasonal – draw for visitors? Examine the economic viability of the area, surrounding homes and amenities, and your home usage plans. Who will own the house? If you can’t afford it on your own, you might consider siblings, friends, parents, or others to co-own it with you. Be sure to meet with a legal professional to outline how expenses and improvements will be shared. You’ll also have to consider creating a schedule of use time for all parties. Don’t go it alone. Even if the vacation home you’re thinking about is thousands of miles away, give us a call. 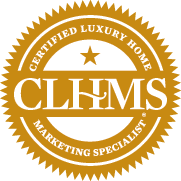 We can connect you with a real estate professional who will help you find a great vacation home anywhere in the world!